Play all your favourite solitaire games with this definitive collection of solitaire games for iPad and macOS. Includes Free Cell, Klondike, Pyramid, Poker Solitaire and more... Alternatively, see below for free versions of some of the games. If you're looking for a few solitaire games for iPad or macOS to get you started but not sure if you're ready for the complete collection, check out the free solitaire games below. 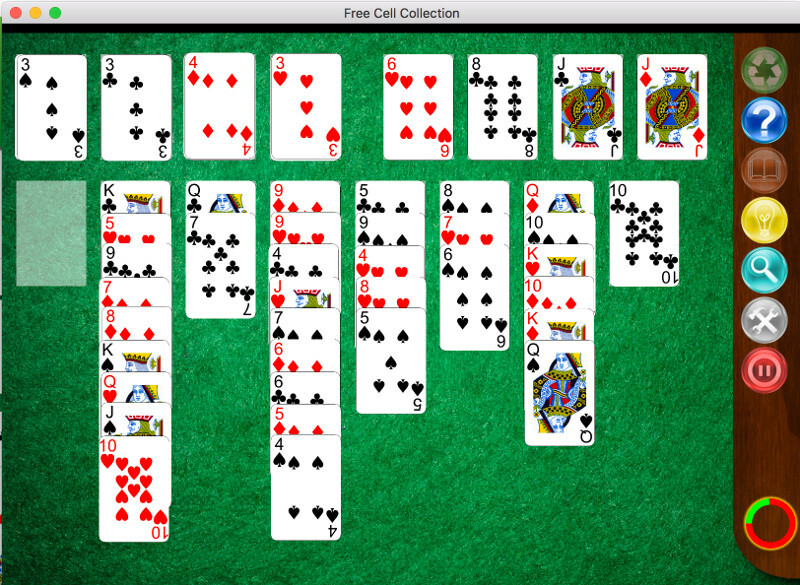 As with the complete Solitaire Whizz collection above, these free solitaire apps support retina screens where available. The Klondike app is recommended for those who prefer solitaire games involving a mixture of luck and strategy. Pyramid solitaire involves a little more luck than strategy, though both are important! See the in-game instructions for information on how to play Klondike and Pyramid, or view the complete illustrated instructions for all games from the menu above. 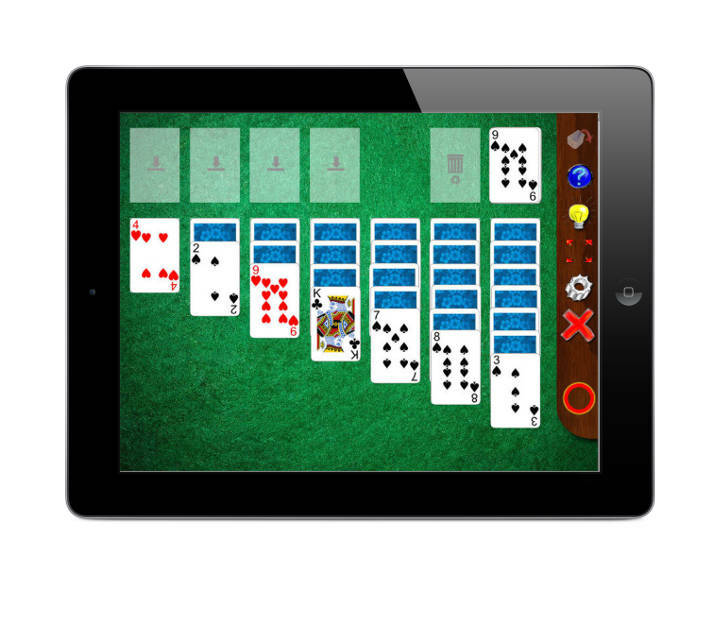 Grab your free copy of this classic strategy solitaire game for iPad! Complete with in-game instructions and AI hints, retina graphics and animation! As a bonus, the app also includes Klondike variants Agnes and Whitehead. For full instructions, see: how to play Klondike. Grab your free copy of this fun solitaire game. Discard pairs of cards to clear the pyramid, making careful use of the stock pile. The free iPad version includes high-quality retina graphics and animation. A simplified version is also available to play Pyramid 13 free on line. For full instructions, see: how to play Pyramid 13. 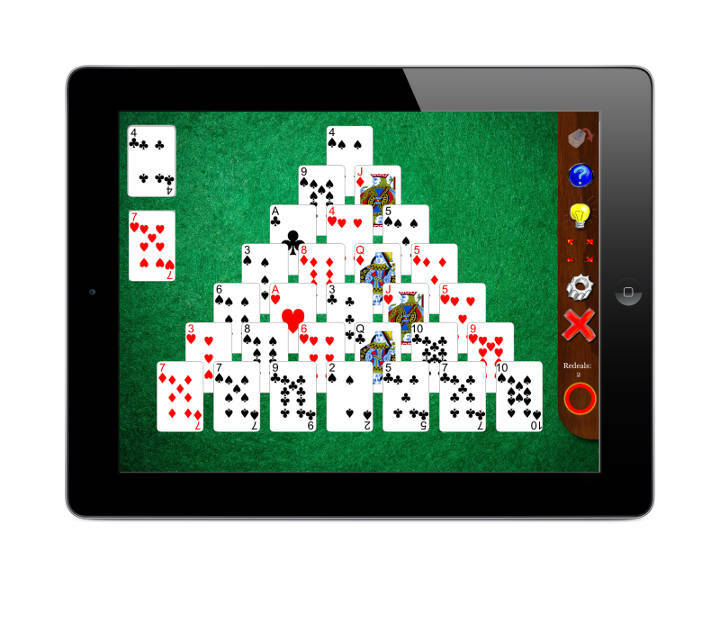 Solitaire Whizz is a compendium of solitaire (patience) games for iPad and macOS. If you are new to the solitaire games, then you should probably start by looking at the page on how to play Klondike solitaire. Also see the page on Which Solitaire game should I play? for further advice! Solitaire Whizz includes Spanish translations of all in-game instructions. On-line versions of the translations are currently being prepared.